There are so many rules you have to follow on your wedding day, but one of them must not be missed! If you have a dog, cat or any other pet you simply must include them in your wedding photos. Show some love to your four-legged friends, grab a camera and take a photo to remember. 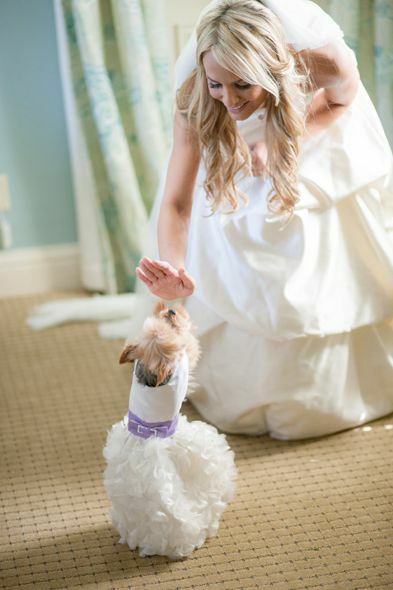 Here are a few ideas how to include pets in your wedding. High five to this adorable photo idea! The bride and her fury best friend have made it; she found the love of her life and her puppy got a new daddy! Look how beautiful they both look for the big, special day; they’re like princesses!